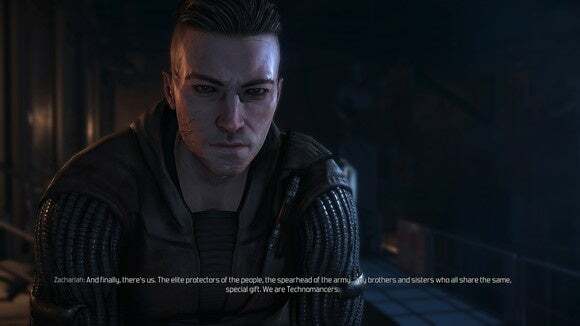 The Technomancer has all the appearances of an epic sci-fi RPG, but it's surface level sheen over a cavalcade of boring. 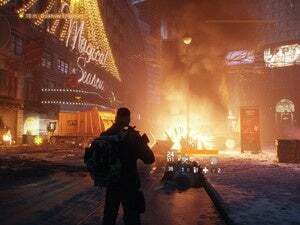 The worst kind of open world is an empty one. It’s a theme in The Technomancer, a game that so desperately wants to be a vast and sprawling RPG but never quite manages in that regard—except when it comes to sheer space, of which there is quite a bit. And so, after spending seventeen hours with The Technomancer ($45 on Steam) and seeing the credits roll, I’d guess probably a third of it was just me mindlessly running across a map while checking my phone. Technically a sequel to Mars: War Logs, The Technomancer puts you in the role of Zachariah Mancer—one of the titular Technomancers, a.k.a. a guy who can shoot electricity out of his body. If you haven’t played Mars: War Logs (and I hadn’t), the gist is that humanity colonized Mars but then lost touch with Earth, and those who were left on the Red Planet split into a bunch of competing corporate oligarchies. Zach lives in Abundance, an underground city and one of the chief superpowers on Mars. There, the Technomancers serve as glorified police officers—but not for long. The secret police are seizing power in Abundance, and Zach is cast out into the world to fend for himself. Except for all the times he sneaks back into Abundance later. But we’ll get there. The best touchstone for The Technomancer is actually Chronicles of Riddick. Not the game. The movie. Like Chronicles of Riddick, this is a sprawling sci-fi epic that’s so concerned with world-building and lore that it neglects to tell a compelling story in that setting. 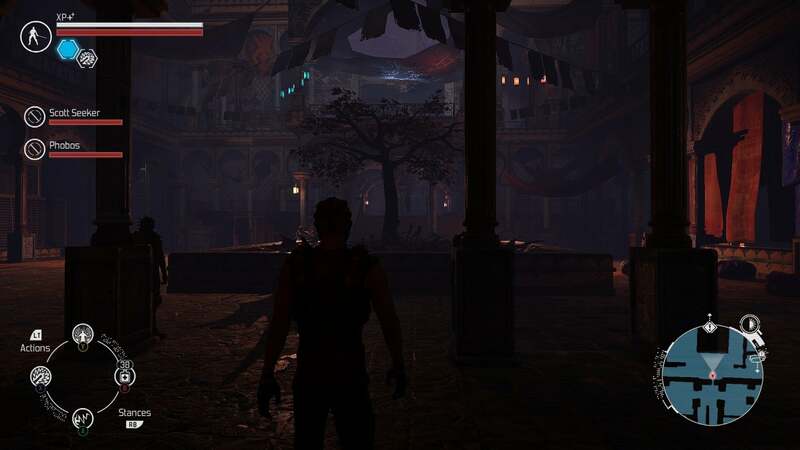 And so the best thing I can say about The Technomancer is: The architecture is fantastic. Seriously. Most impressive is “The Exchange,” which functions as the high-end administrative district of Abundance. The Exchange takes cues from Soviet-era Brutalism, all cold concrete facades and imposing totalitarian structures. Contrast that with Noctis, a hidden city of merchants visited later in the game. Noctis is seemingly styled after traditional Bedouin culture, a city that revels in luxury but also looks like it could pack up and leave at any moment. It’s gorgeous, which is good because you’re going to be running through these areas a lot. 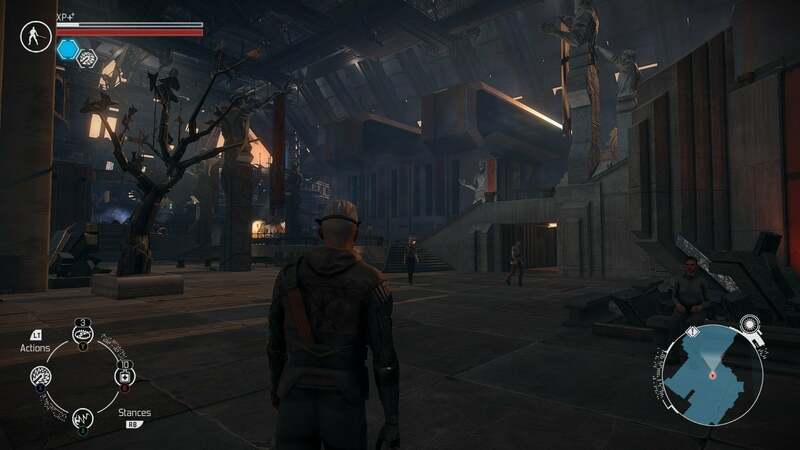 I’d like to say The Technomancer plays somewhat like an old BioWare game—we’re talking Knights of the Old Republic era. But if I say that, some of you might rush out and buy it. 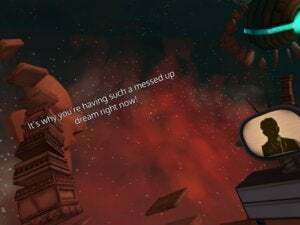 That would be a mistake. See, this is Knights of the Old Republic, but fifteen years later and with mediocre writing even by 2003’s standards. And worst of all, it’s like Knights of the Old Republic in that you’re forced to run through large, labyrinthine environments to try and find the one person you can actually interact with. There aren’t many places to visit in The Technomancer, but you can count on each to be about ten times as large as it needs to be—mostly made up of empty corridors or, worse, corridors full of enemies. The latter is a drag, for a number of reasons. First and foremost, combat’s just not very interesting. It’s whack-whack-whack on the X key and then sometimes dodge—similar to The Witcher 3 honestly, but every character is a damage-sponge and there’s no weight to it. Then there’s the fact enemies seemingly scale to your level, so you never feel like you’ve made any progress. And then that’s paired with the fact enemies never go away. At the end of the game you’ll still be fighting the same four dudes at the top of the elevator in Abundance as you were the preceding seventeen hours. They respawn every damn time you’re forced to sneak into the city. 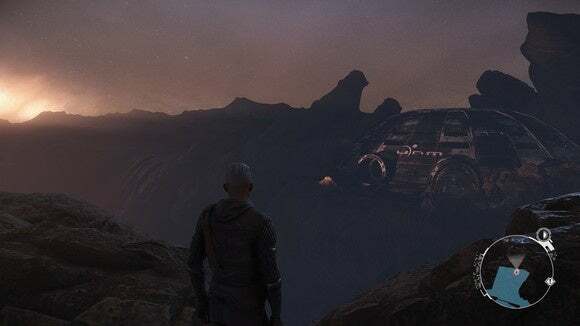 The puzzle of The Technomancer ends up being “How can I get from here to the quest-giver without either a) fighting a billion enemies or b) running an entire marathon?” And the answer is: You can’t. Saddle up, bucko. All of this—the tedious combat, the respawning enemies, the oversized-but-empty environments—all of it would be forgivable (or at least bearable) if The Technomancer’s story were worth seeing through. But it’s not. Zach’s story is in every instance predictable. It’s a double-cross story where nobody is ever in any real danger and nothing matters. Everything is given to you, you never struggle, you never make a tough choice, you never care. Characters are a scattering of archetypes with the personality of a windblown plastic bag, and Zach’s voice actor reads lines like he got dragged in to help with a buddy’s school project. 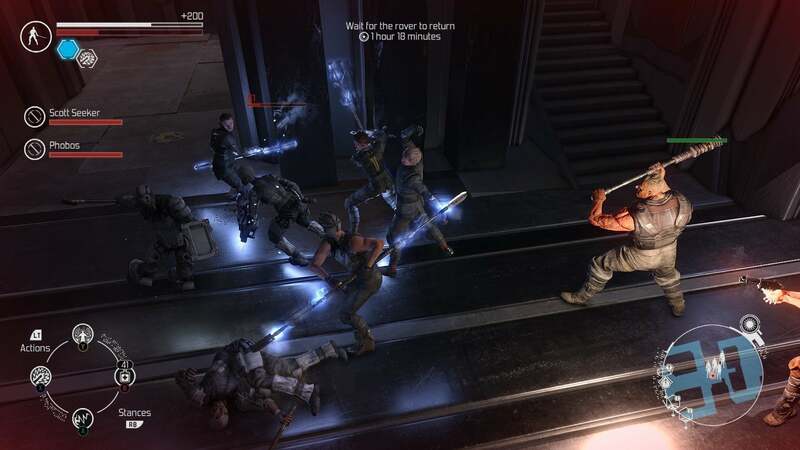 The worst part is The Technomancer’s not even actively terrible. It’s just completely forgettable. Come for the Brutalist architecture, stay because you’ve got nothing better to do with seventeen hours of your life. And that’s a low bar, here. The Technomancer has all the appearances of an epic sci-fi RPG, but it's surface level sheen over a cavalcade of boredom.